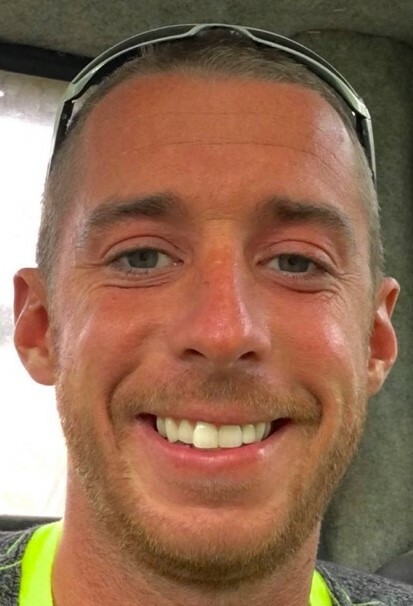 Travis Lee Arnold, age 32, died unexpectedly Thursday April 4, 2019 at his home in Eaton. Born in Muncie on March 26, 1987, he grew up in Albany and was a 2005 graduate of Delta High School. He lived most of his life in Albany and had recently moved to Eaton. Travis was a hard worker and was the owner of Arnold’s Mulch, Albany Door Company, and Mid-State Auto. He was a collector of hot rods and John Deere items and enjoyed woodcarving, drag racing, and riding motorcycles. Travis loved his kids and looking after his little brother, Lucas. Survivors include his daughter: Demi Grace Arnold, Ossian; his father: Jeff Arnold, Albany, his mother: Janet Arlene Arnold, Muncie; two brothers: Lucas Arnold, Albany, and Justin Arnold (wife: Brandy), Anderson; maternal grandparents: Willie Carson & Shirley K. Smith, Muncie; his former wife and current companion: Garnet (Brown) Arnold and their children; 2 nieces, 2 nephews, and several aunts, uncles, and cousins. His paternal grandparents, Paul T. & Gloria M. Arnold, are deceased. Travis and Garnet also endured the loss of a miscarriage in 2008. Services will be 11 a.m. Monday, April 8, 2019 at Albany Christian Church. Burial will follow at Strong Cemetery. Visiting hours will be held on Sunday from 4 until 8 p.m. at Albany Christian Church and an hour prior to the service on Monday at the church. Memorials may be sent to Albany Police Department, Albany Fire Department, or Albany Emergency Medical Service in memory of Travis.